Last weekend I took a trip down to London to get into the Christmas spirit in the most beautifully festive place in the country! First we started with a trip to Harrods, the outside of the store was covered in wreaths and gold garlands, the only store where the outside may be more impressive than what's inside! You can easily get lost amongst the designer bags, kitchenware and the most amazing array of food I have ever seen however it was the Christmas shop we really wanted to see! It was like a (very busy) Santa's grotto and the decorations were beautiful! Next stop was Covent Garden, my favourite place in London to visit at Chrismas - they always have the best decorations! There was huge mistletoe decorations hanging from the ceiling and a band was playing Christmas songs outside the shops! Lastly, what we really went for - Winter Wonderland at Hyde Park! We had heard lots about Winter Wonderland and it did not disappoint! The park was full of rides, food stalls, bars and Christmas markets! 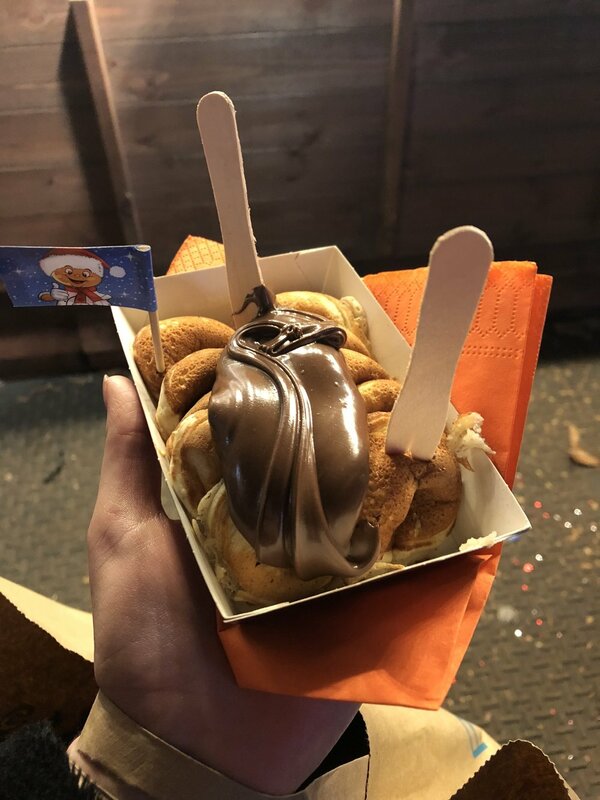 It looks like I was too busy eating mini pancakes to take many pictures but I really do recommend you visit if you're looking for something fun to do in London during Christmas. It's free to enter and there are many things including ice skating, an Ice Bar, Cinderella on Ice, a Circus and many more that you can book before you go! Winter Wonderland is running until 1st January so you still have plenty of time to visit!